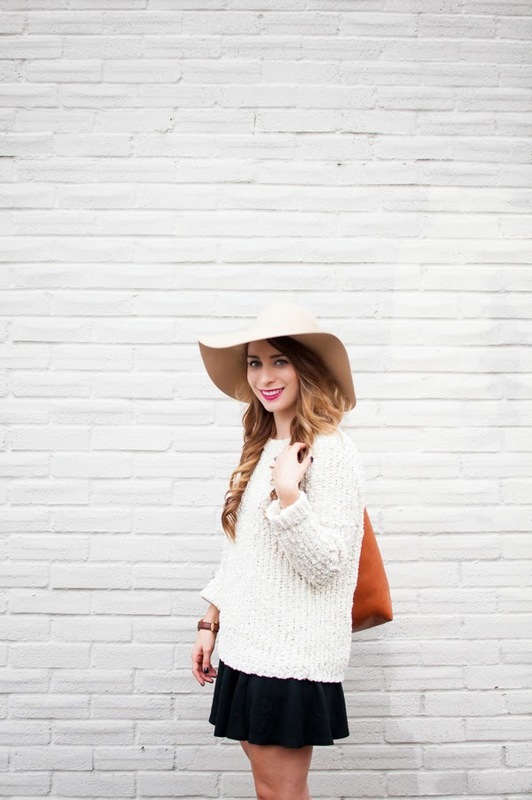 OOTD - Sweater Weather | La Petite Noob | A Toronto-Based Fashion and Lifestyle Blog. Can I just say how much I love my Daniel Wellington watch? This is the first time that a company has approached me to review a product, and I've actually accepted. I had heard about Daniel Wellington watches and a liked their classic look. Now that I've been wearing my watch for a solid two weeks, I can honestly say I'm impressed. The face is large without being obtrusive, the leather strap is so soft an pliable and - best yet - it fits my small wrist perfectly! Don't forget that you can use the code 'lapetitenoob' to get 15% all products at Daniel Wellington. How do you feel about mixing brown and black? What's your Fall uniform? I would love to know! I'm a big fan of mixing brown and black too, so you're not alone! I love wearing slim black pants with an oversized knit, then brown boots or booties :). Love this look! Your fall outfit sounds fantastic! Thanks for the discount code! I have been wanting a DW watch for sometime, so this worked out great. Aren't they beautiful? I bought the classic bristol lady.